Here’s a way for Maine people to escape poverty. It deserves the commitment of state leaders. 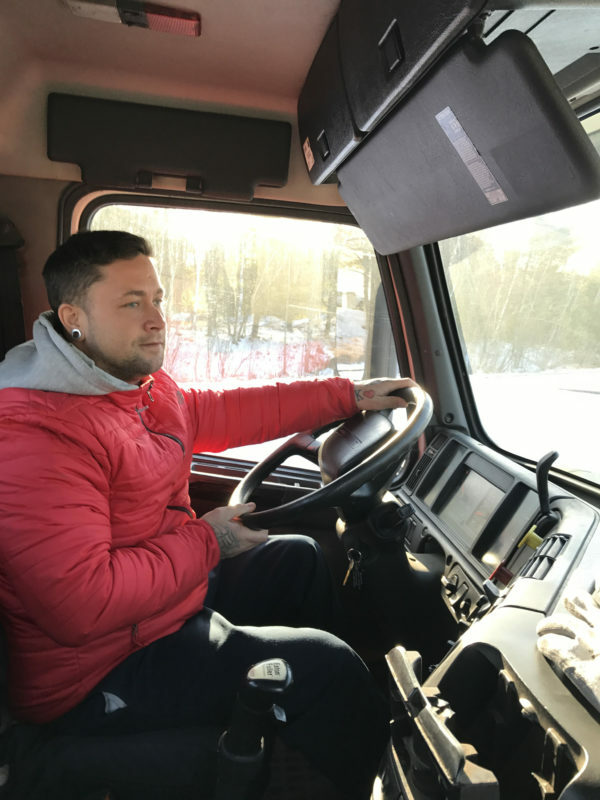 Justin Paulin learns how to drive a tractor trailer truck. There is a clear way to get someone out of poverty in Maine: It’s called job training. It’s meant for people who are living close to the edge, who need a skill or just a chance in order to get work. But the job training system in Maine is not being used to its fullest potential. There are a number of reasons why. Much of it comes down to bureaucracy. The organizations that oversee the training are restricted in whom they can serve; their performance standards make it more difficult for them to help job seekers with many challenges. And the system is set up with lots of controls, which means it’s difficult for it to shift quickly. There are also multiple similar but smaller programs, all run by different entities, with different funding streams and methodologies, creating administrative overlap. What’s more, the total federal funding available for job training nationwide is a pittance compared with the need. It actually declined 38 percent between fiscal years 2001 and 2016. The state spends no money directly on this system, which is accessed through Maine’s 12 career centers and overseen by three workforce boards based in Brunswick, Lewiston and Bangor. The organizations responsible for training have had to find other ways to supplement their operations to get their jobs done. “When push comes to shove, we can think big and do big things, but we’ve been, I think, thinking small and been very stingy when it comes to effecting the transitions of people’s lives,” John Dorrer, former director of Maine’s Center for Workforce Research and Information, said. Job training should be playing a major role in responding to Maine’s workforce challenges — which are significant. But it seems to have been forgotten. For instance, on March 6, the Maine Senate Democratic Office touted a vote to create a new task force that will address “one of the biggest challenges holding back Maine’s economy: inadequacies in the state workforce.” The task force would include 16 members — but not one from the workforce board system. How can Maine reinvigorate this underused resource, especially given the need for more people to work in a tightening labor market? First, it will start with a recognition that the training offerings exist and can fill a major need. At the very least, someone from the workforce board system should be on the Legislature’s task force. Given his long history in workforce development and ability to see beyond the confines of current programs, we would nominate Michael Bourret, executive director of Coastal Counties Workforce Inc. in Brunswick. Because the odds are low that federal regulations will loosen any time soon, it will be up to Maine lawmakers, perhaps as part of this task force, to figure out how to make the entire workforce development system work better together. Any money it saves that way should go toward job training, ensuring more people get the skills and services they need to become self-sufficient. But finding the dedication necessary for figuring out how to make a complicated system as efficient as possible will be difficult. It will take real leadership at the state level. Who that will come from right now is anyone’s guess.